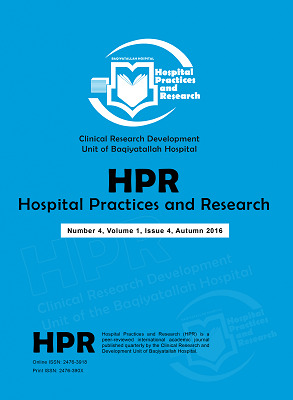 Hospital Practices and Research (HPR) is a peer-reviewed international academic journal published quarterly by the Baqiyatallah University of Medical Sciences with cooperation of Iranian Health Management Association (IHMA). 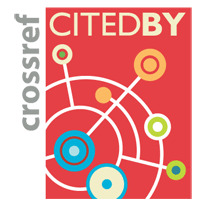 The journal publishes high-impact studies related to key aspects of hospital research. HPR provides a forum for hospital specialists to debate contemporary challenges of hospital research and healthcare services delivery and to seek ideas and solutions to achieve higher performance and effectiveness in healthcare settings. Our primary aim is to facilitate the exchange of ideas, hypotheses, techniques, and information among all physicians, staff, and students. The journal's main focus is placed on efficacy in improving clinically relevant outcomes such as mortality, morbidity, quality of life, function, and costs. HPR publishes informative and multidisciplinary advances in all aspects of hospital and healthcare organization research. Regarding clinical studies, while a broad spectrum of research is welcome, HPR has a specific interest in studies examining the role of hospitalists and hospital medicine in improving the quality of healthcare, patient outcome, and overall hospital performance. HPR is an open access, peer-reviewed, online journal and adheres to ICMJE and COPE recommendations. There are no submission fees or article processing charges for authors submitting their articles to the Hospital Practices and Research.